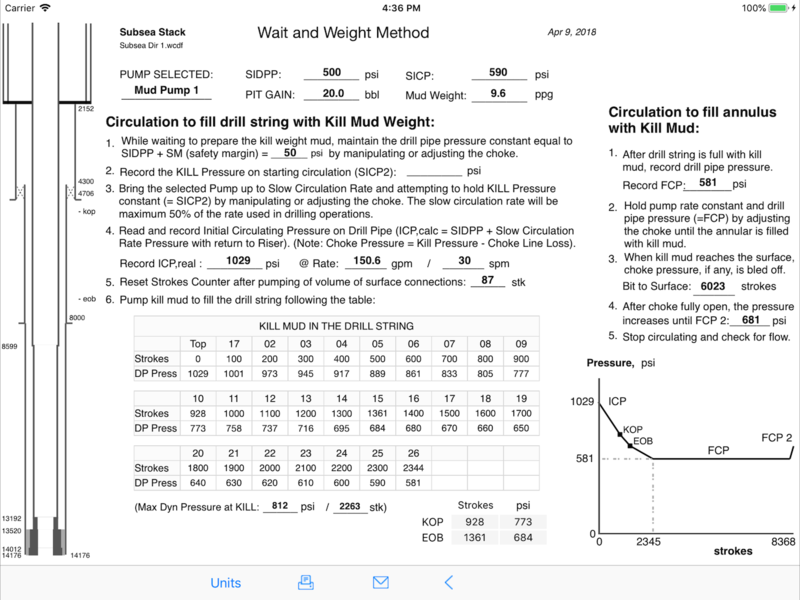 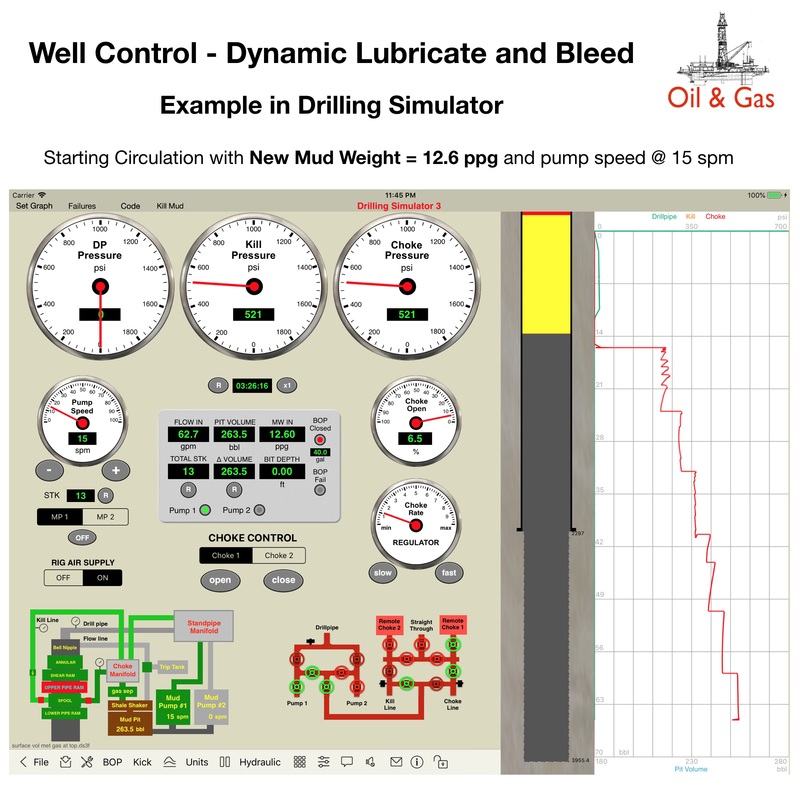 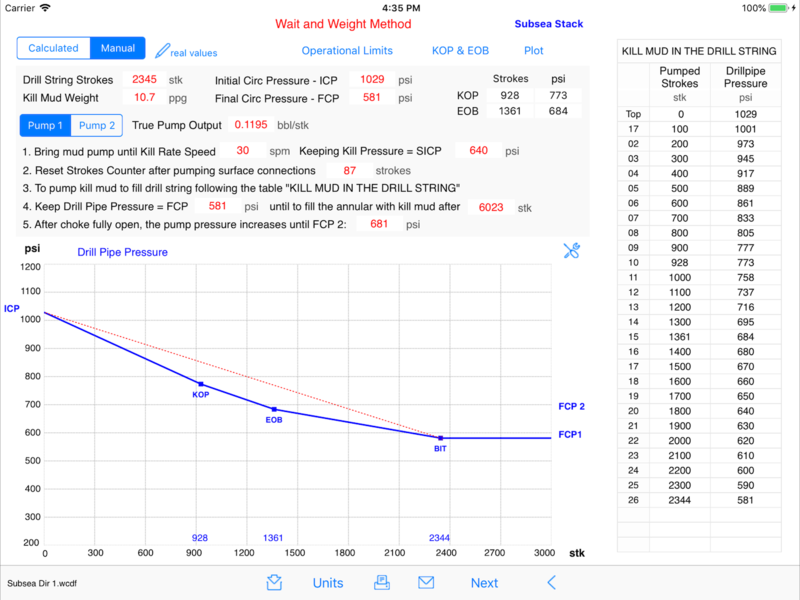 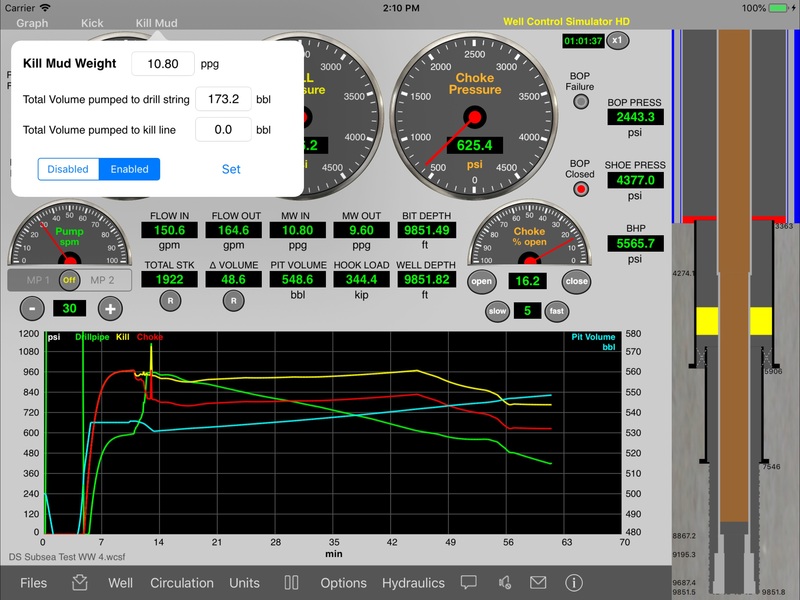 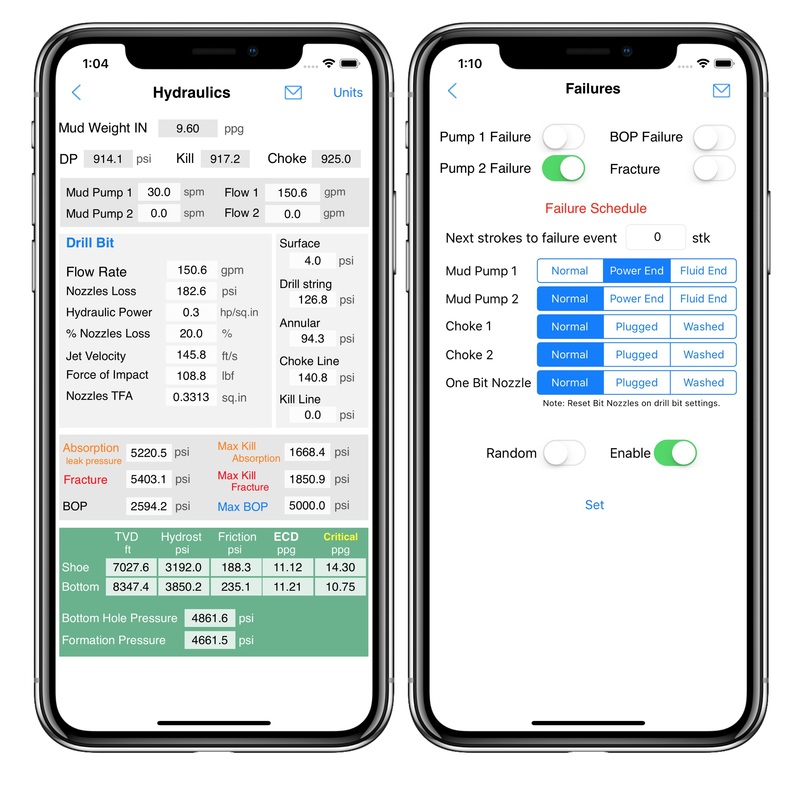 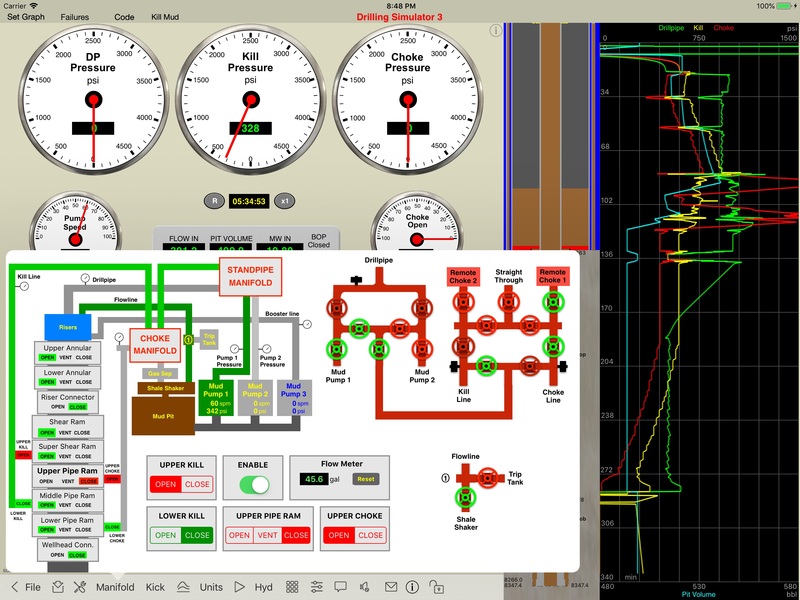 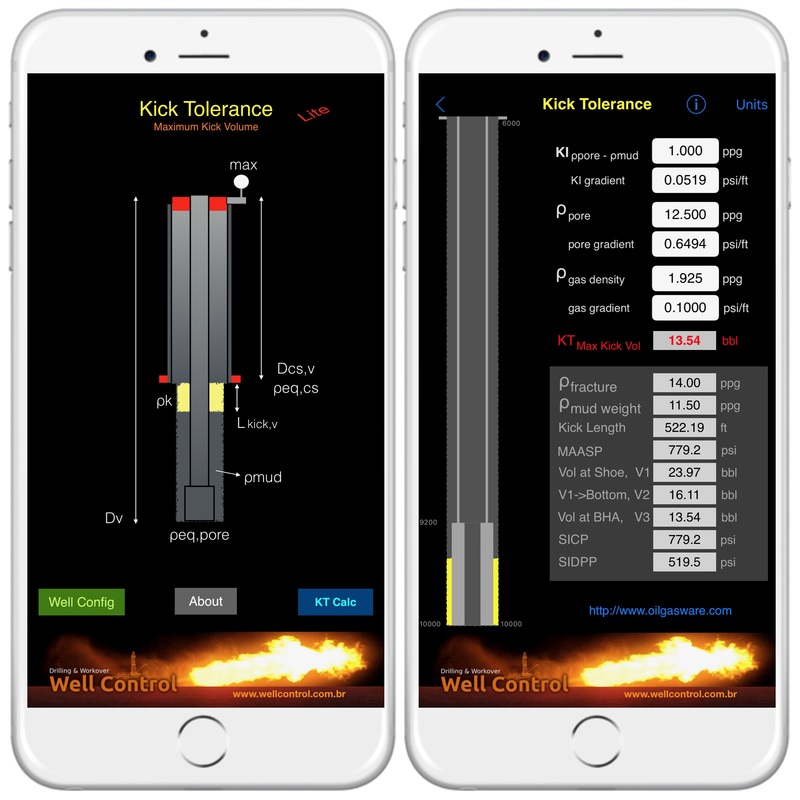 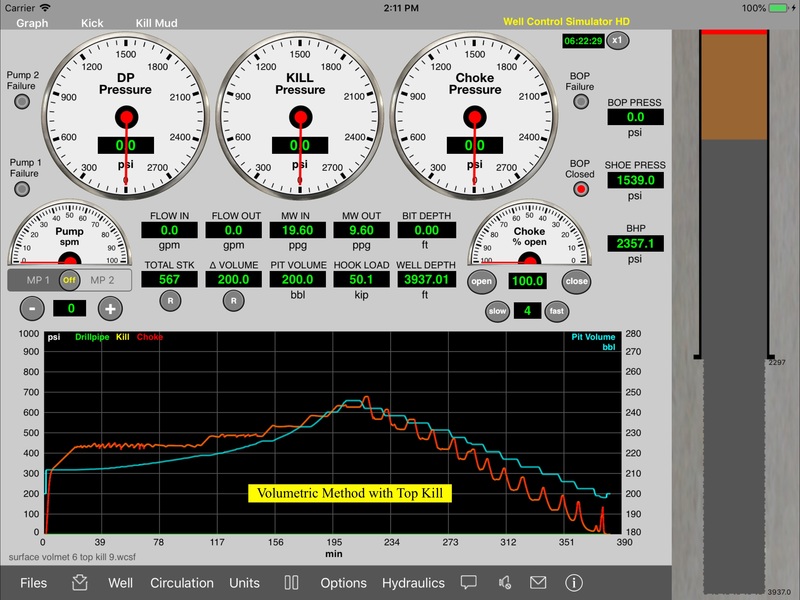 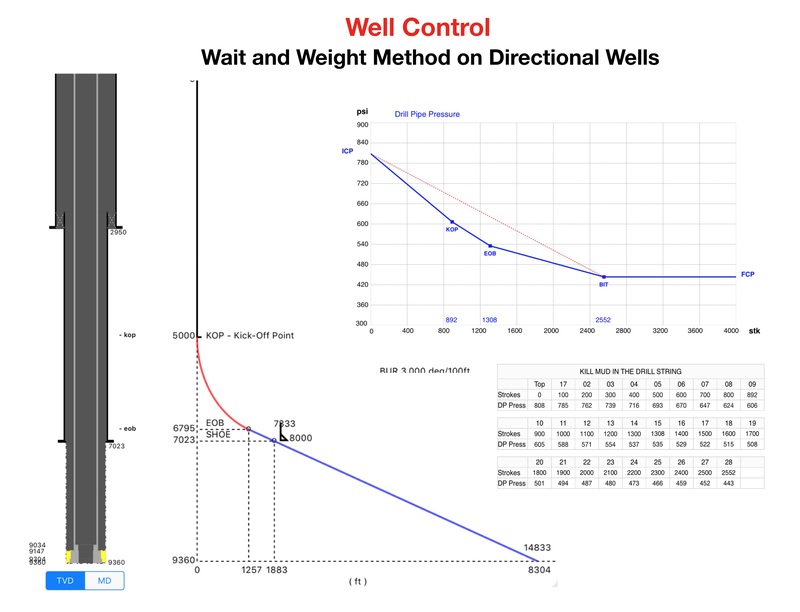 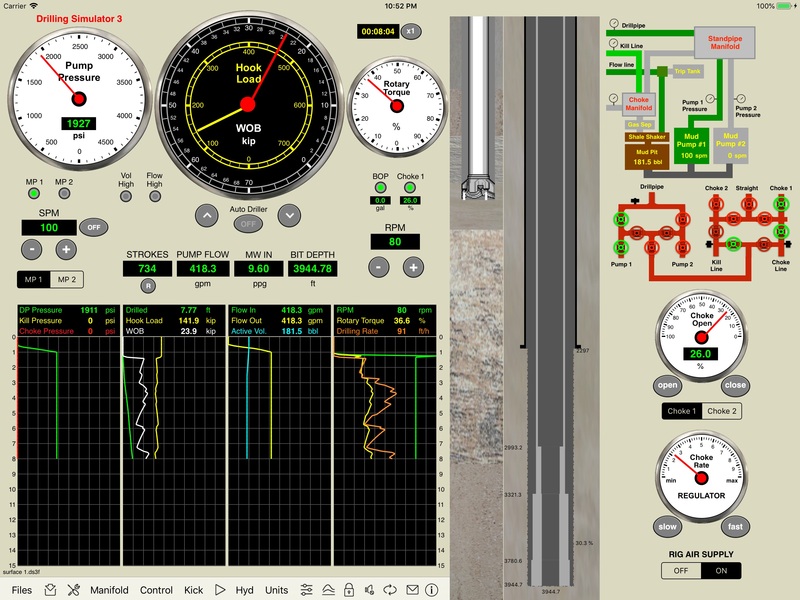 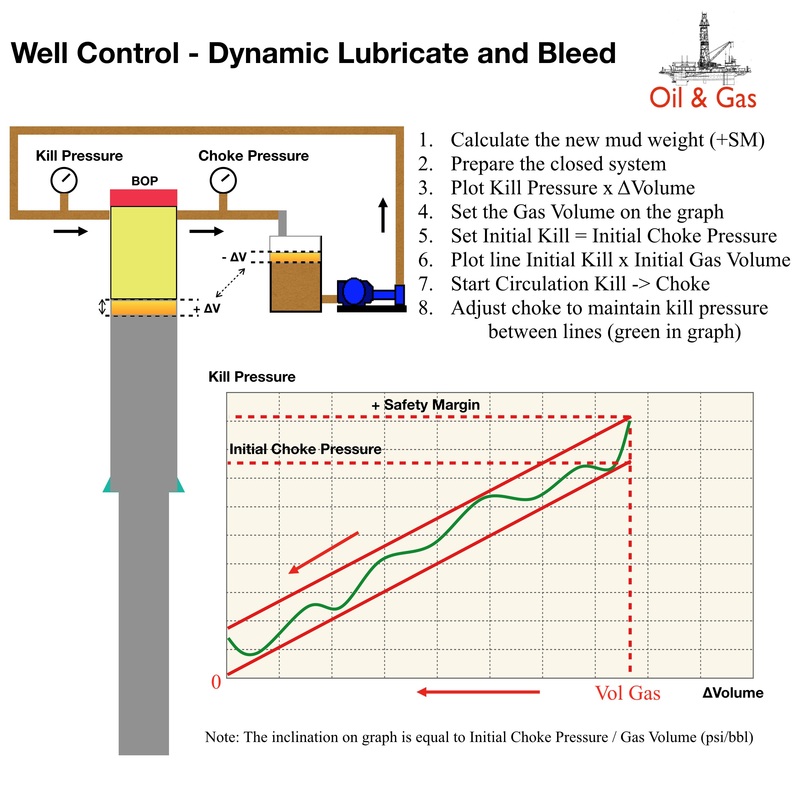 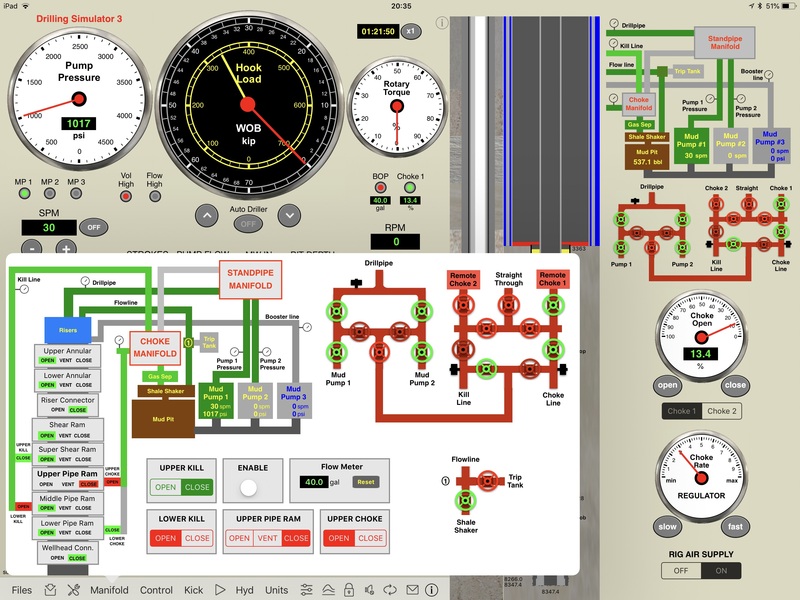 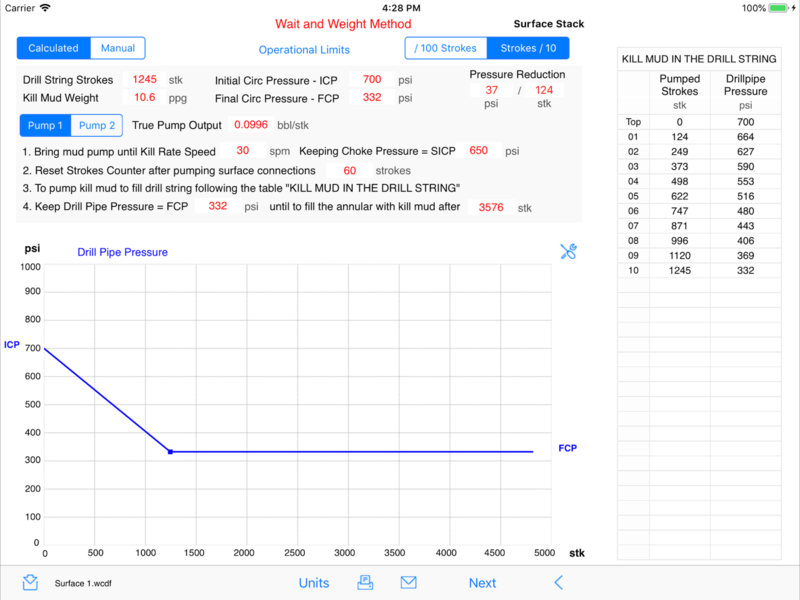 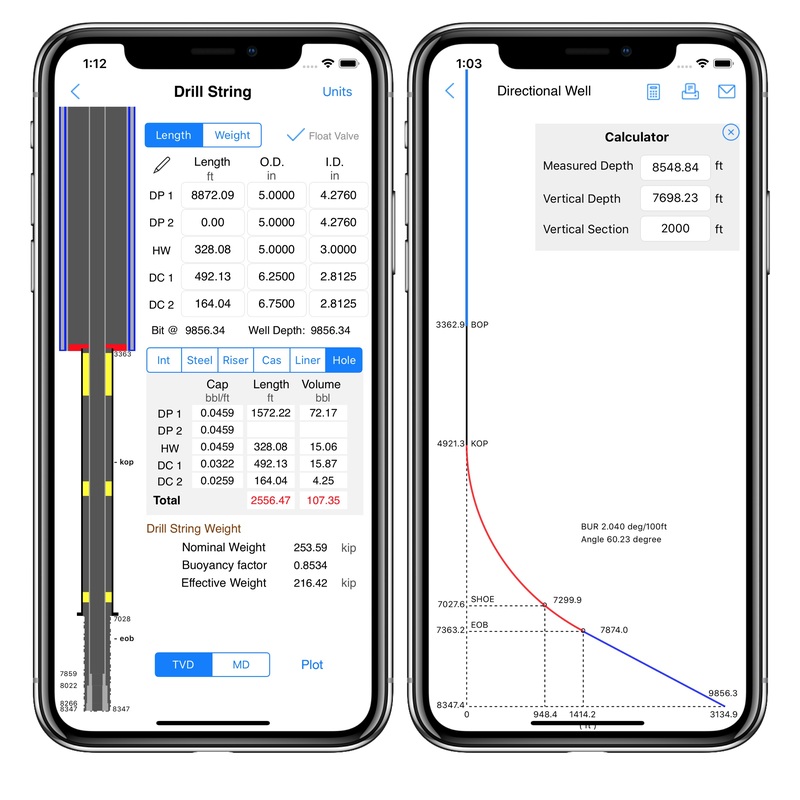 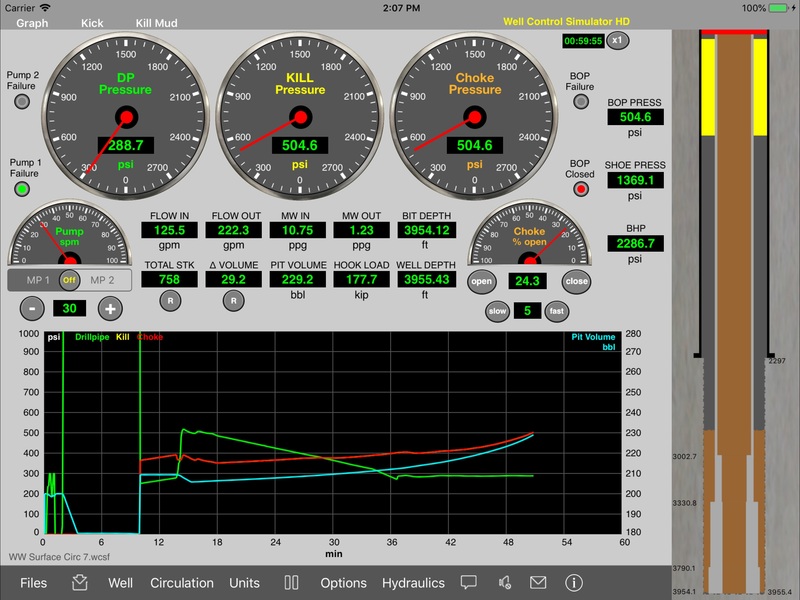 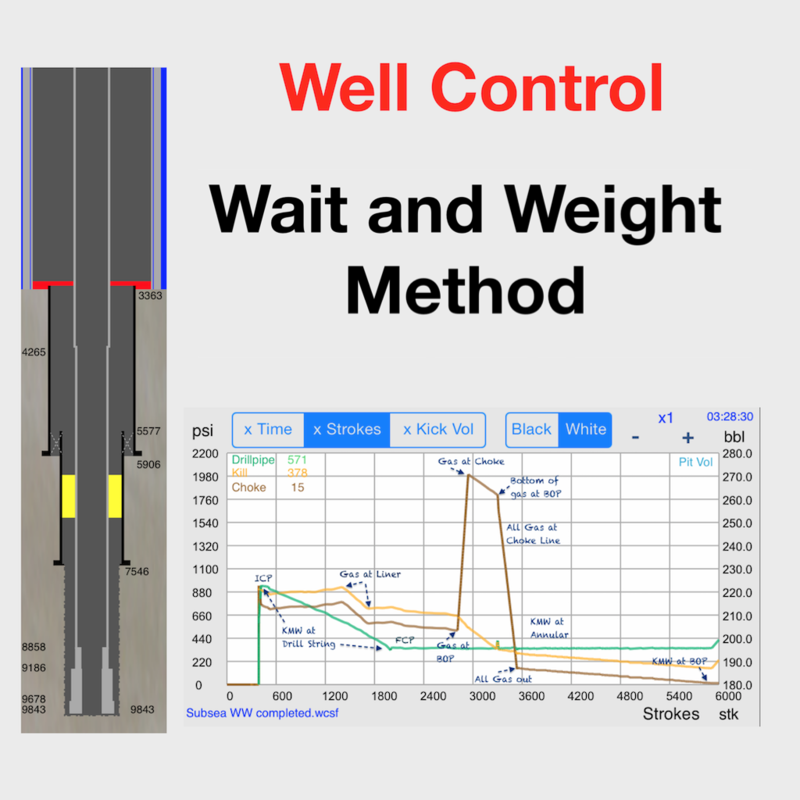 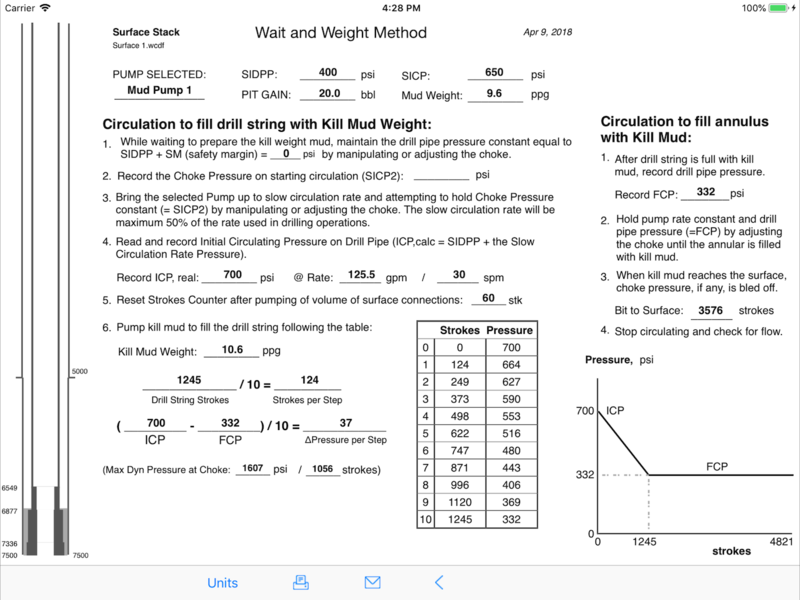 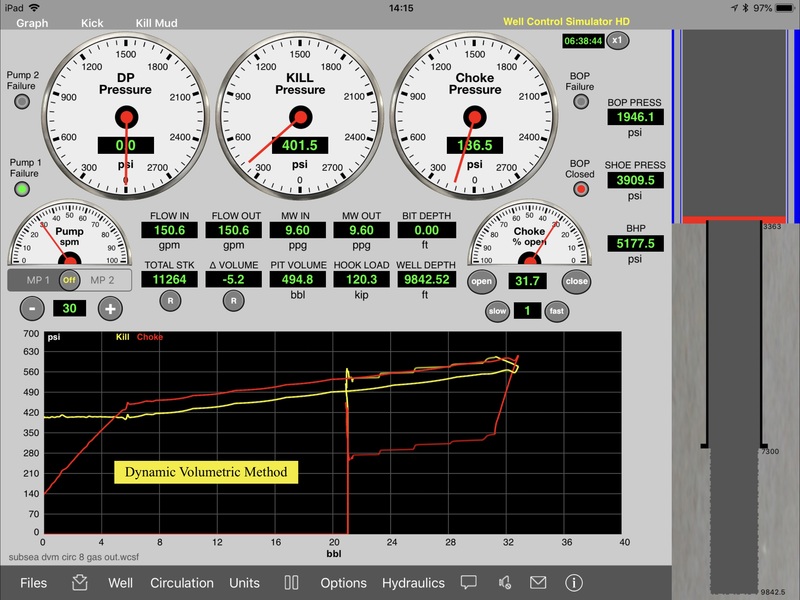 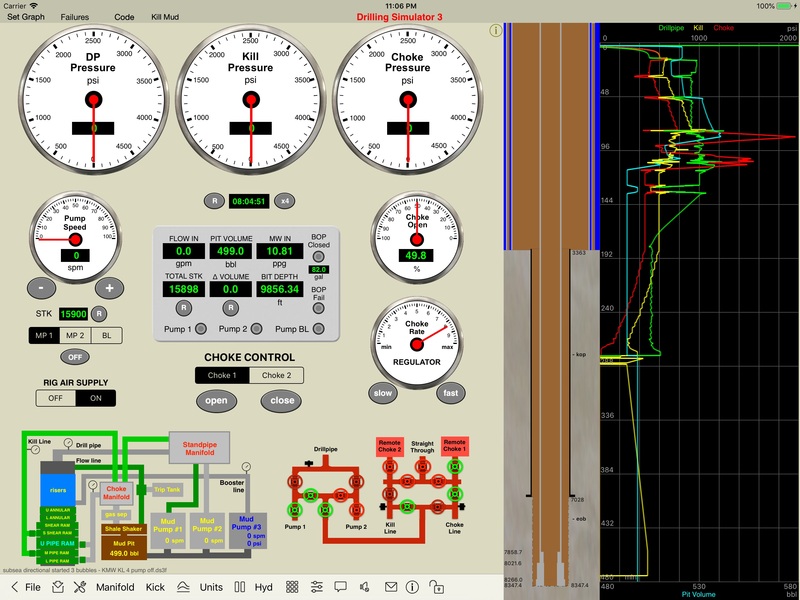 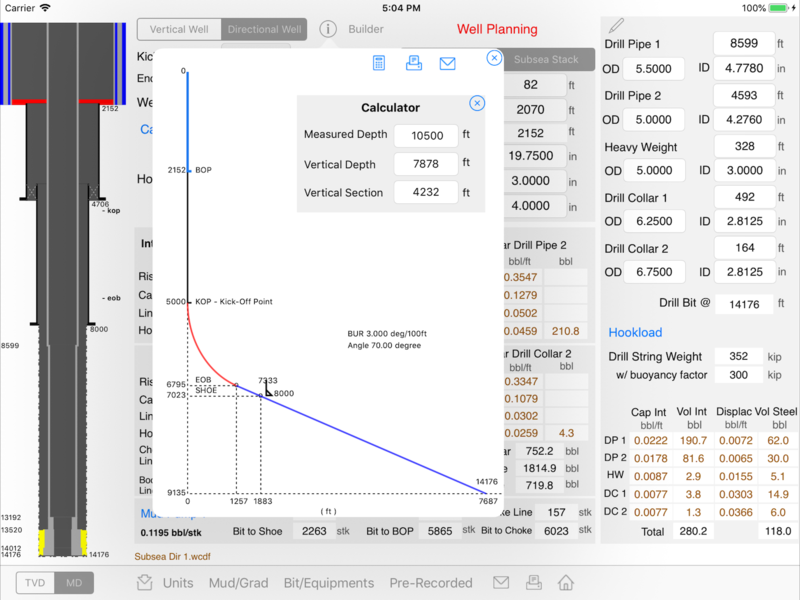 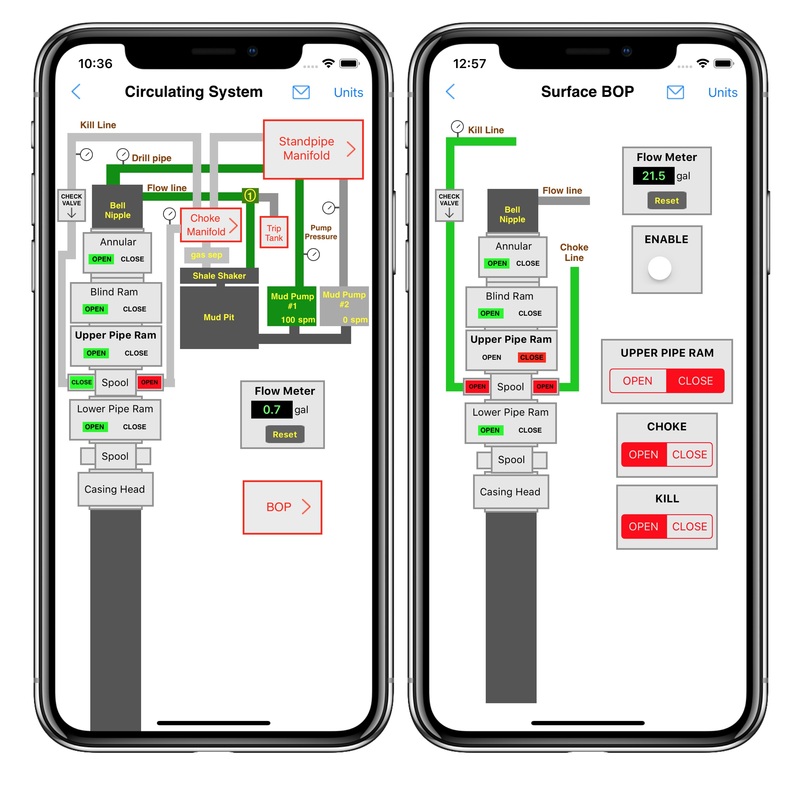 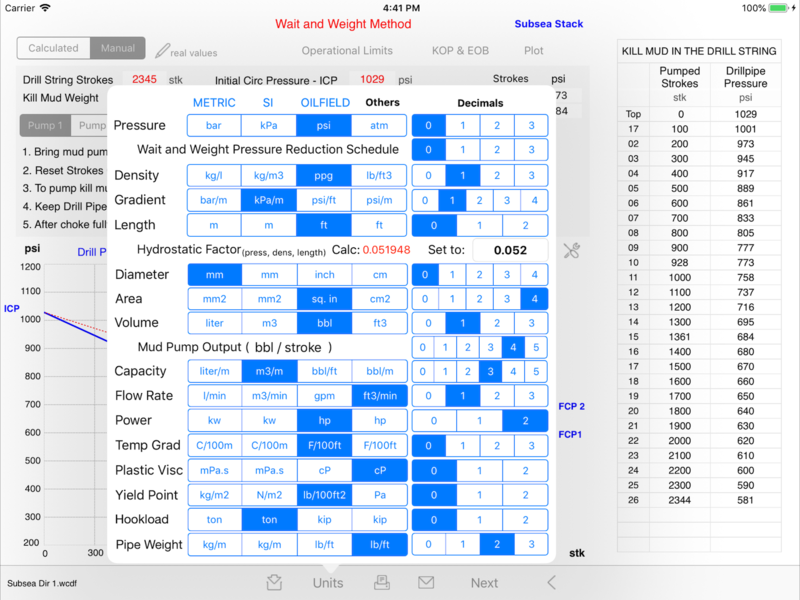 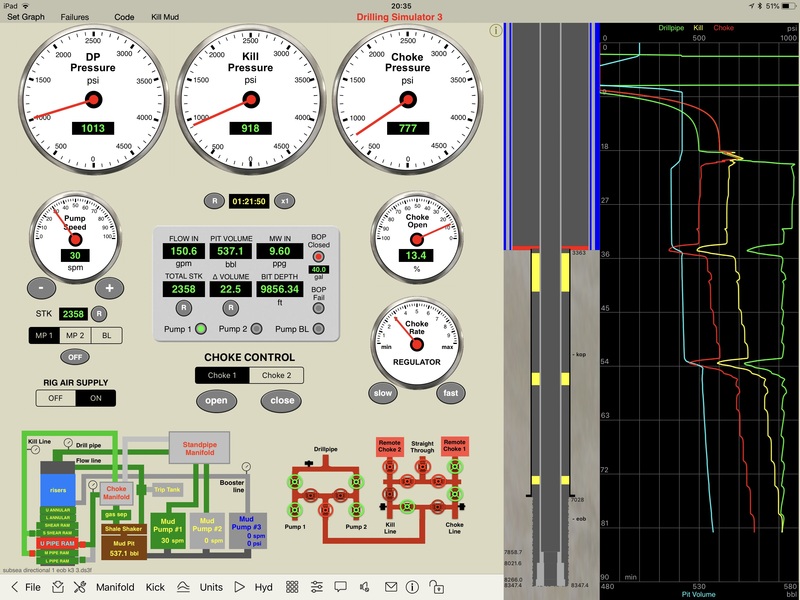 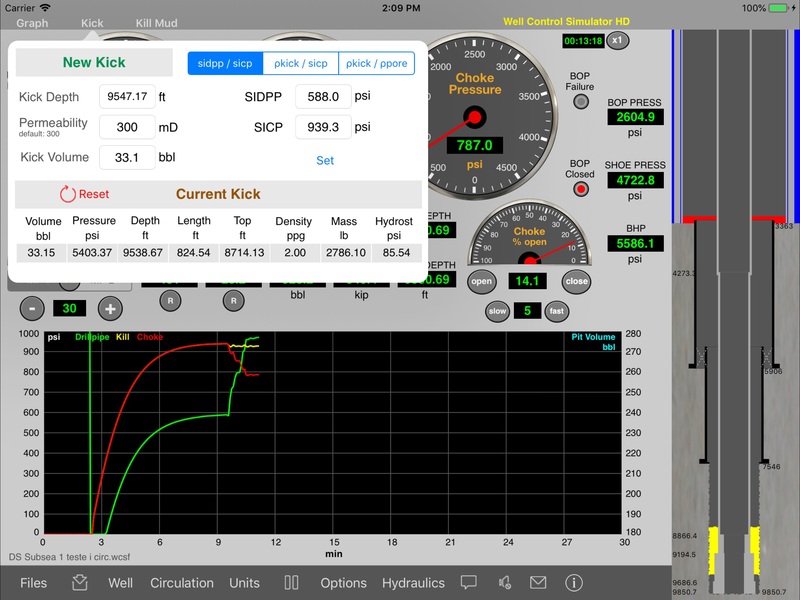 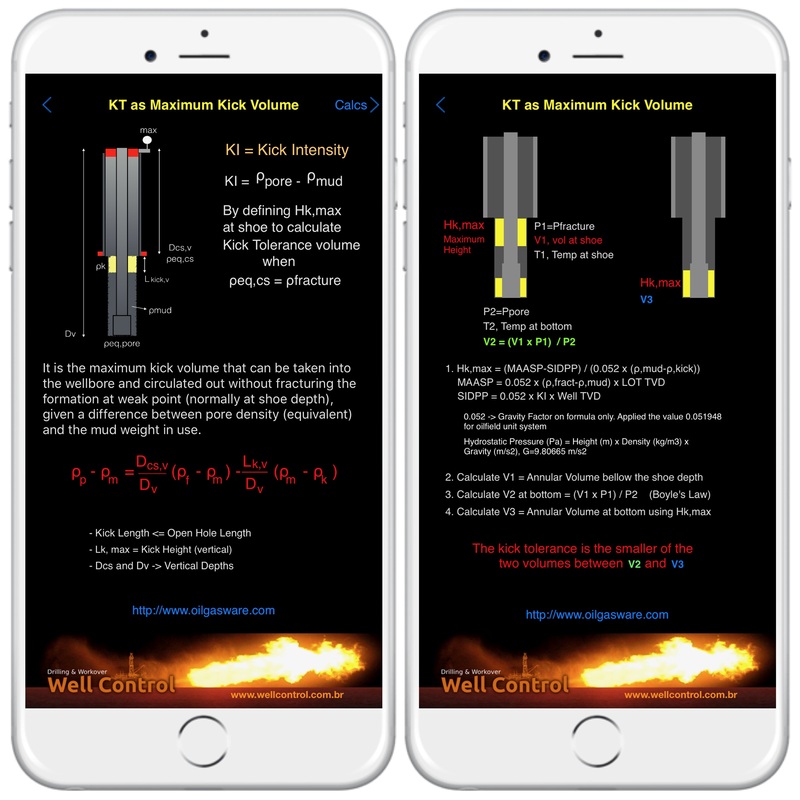 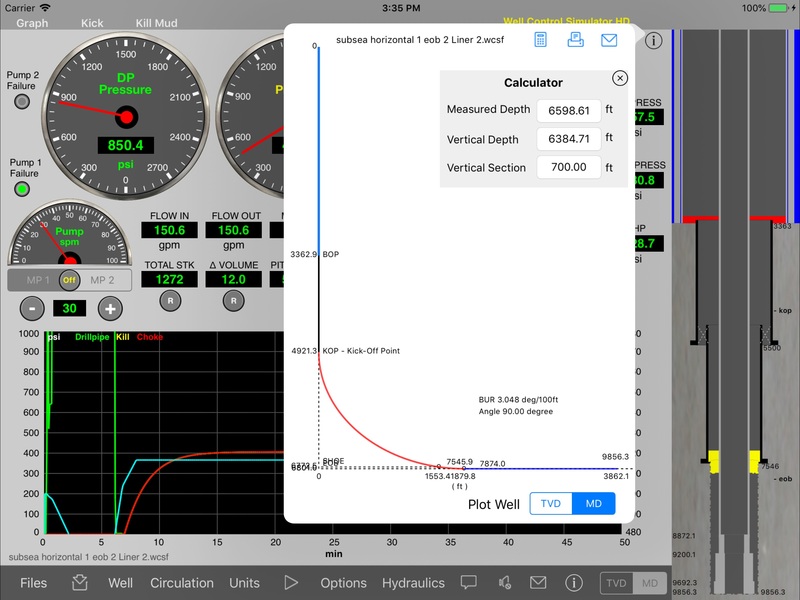 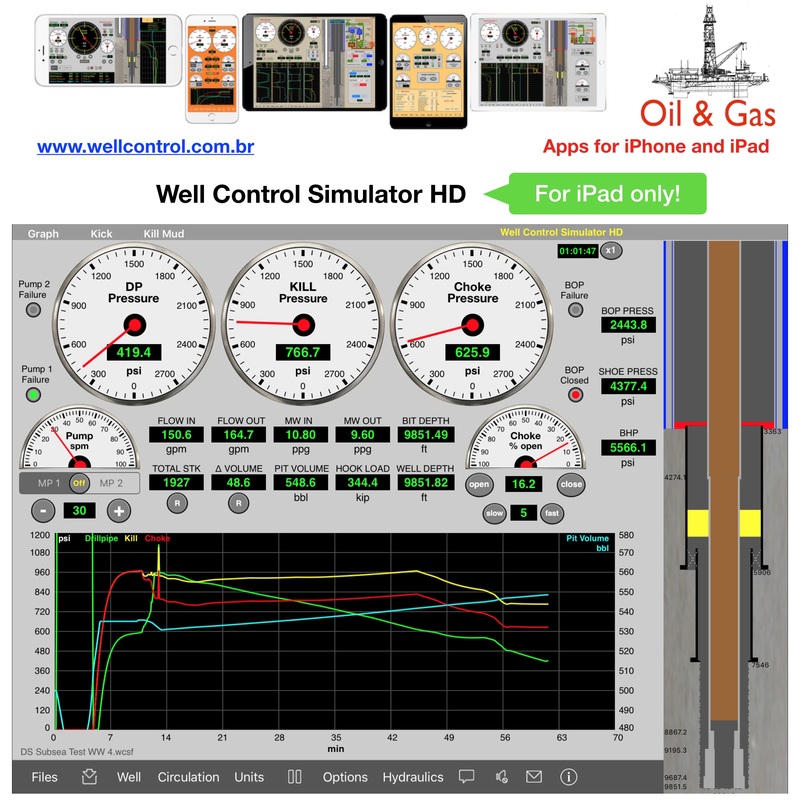 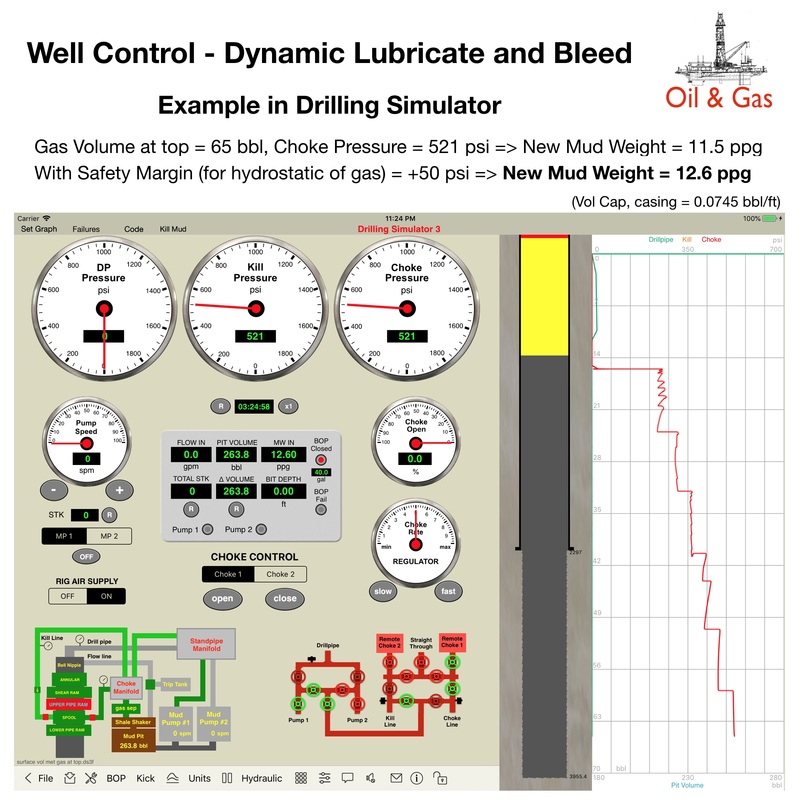 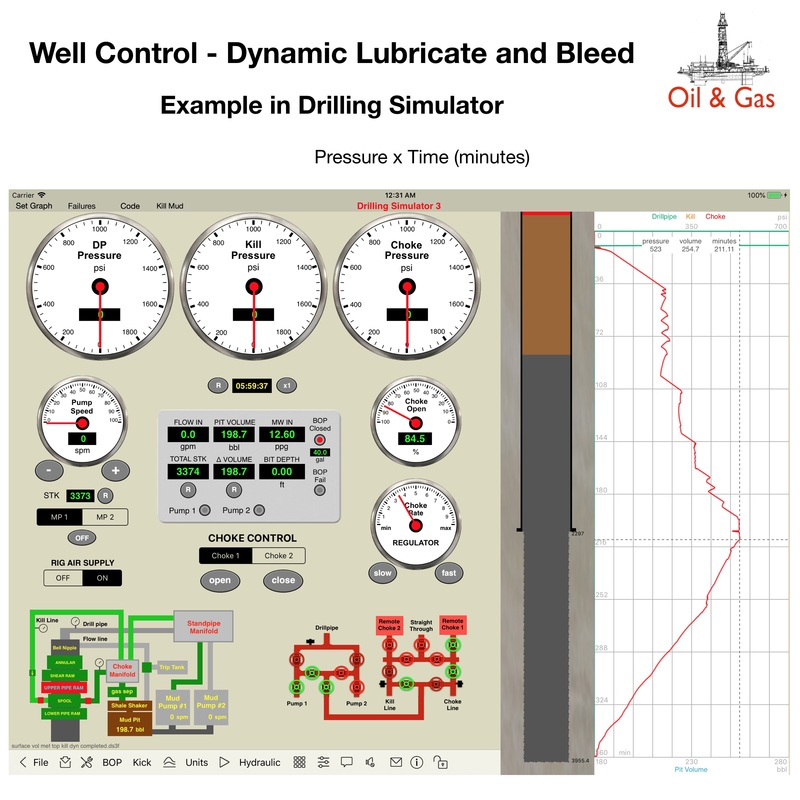 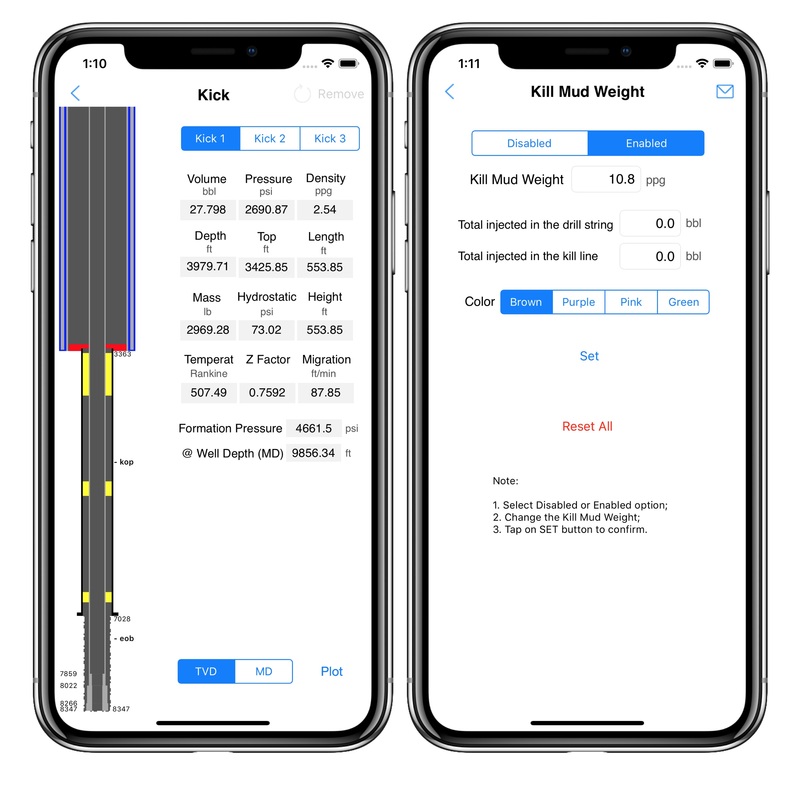 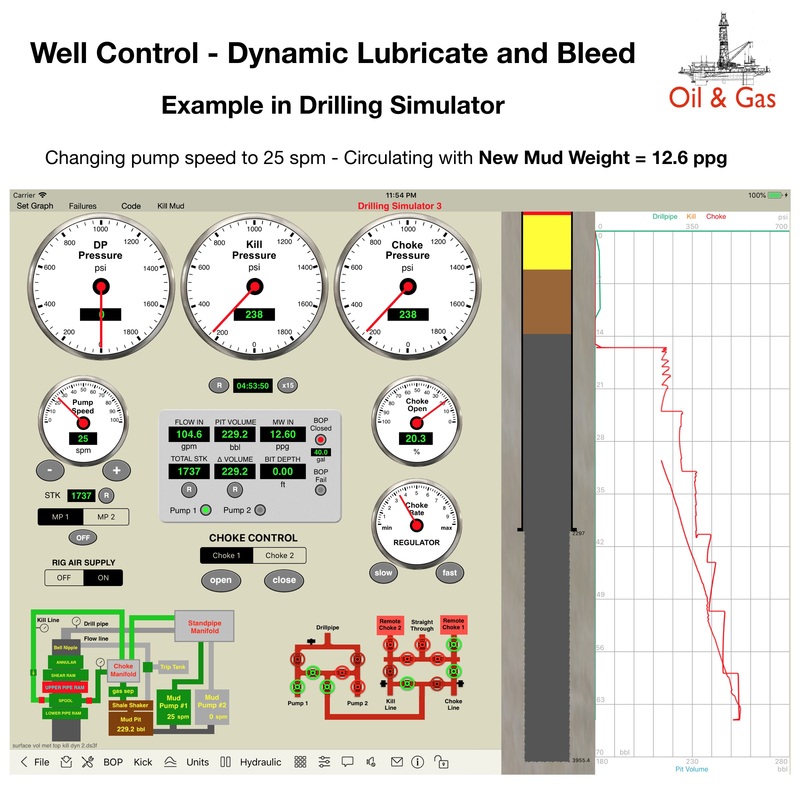 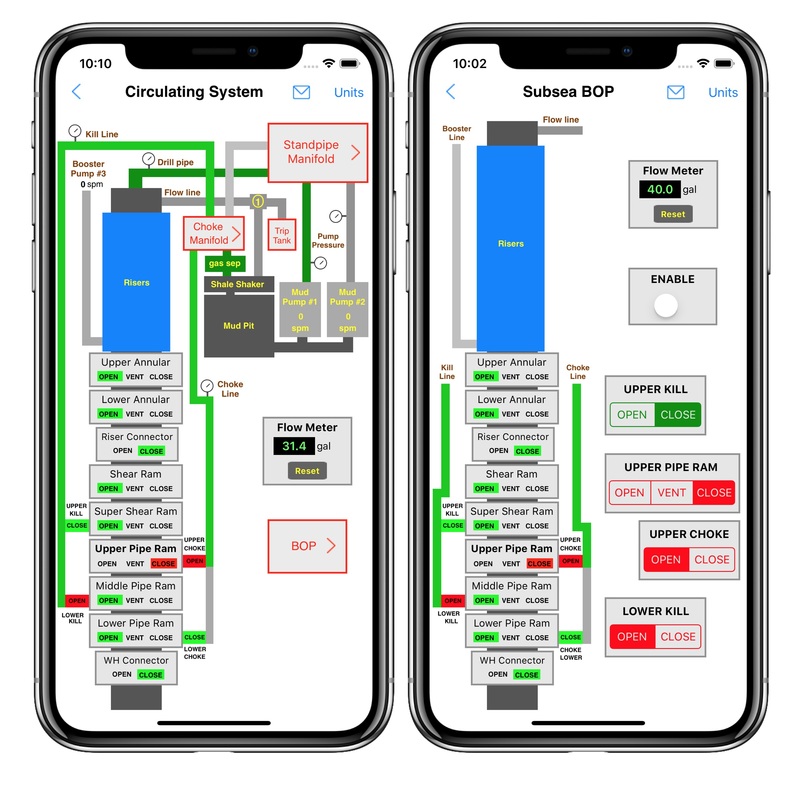 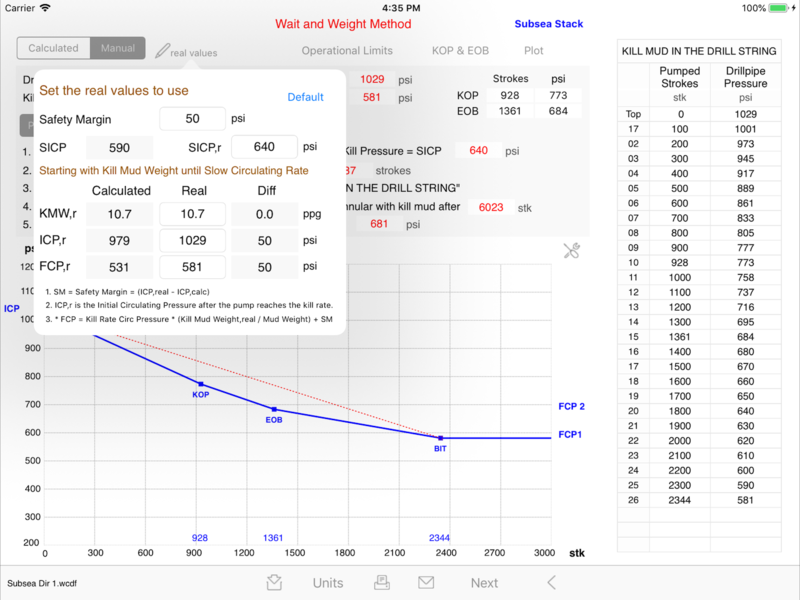 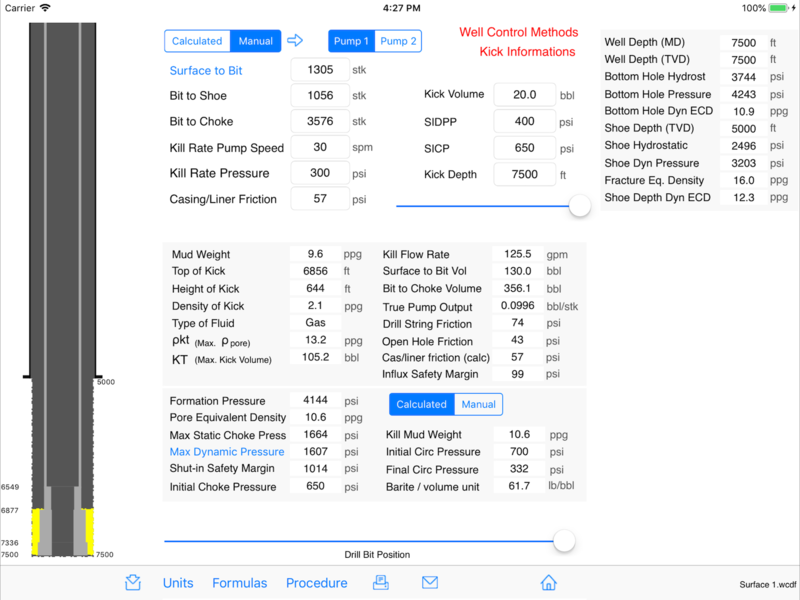 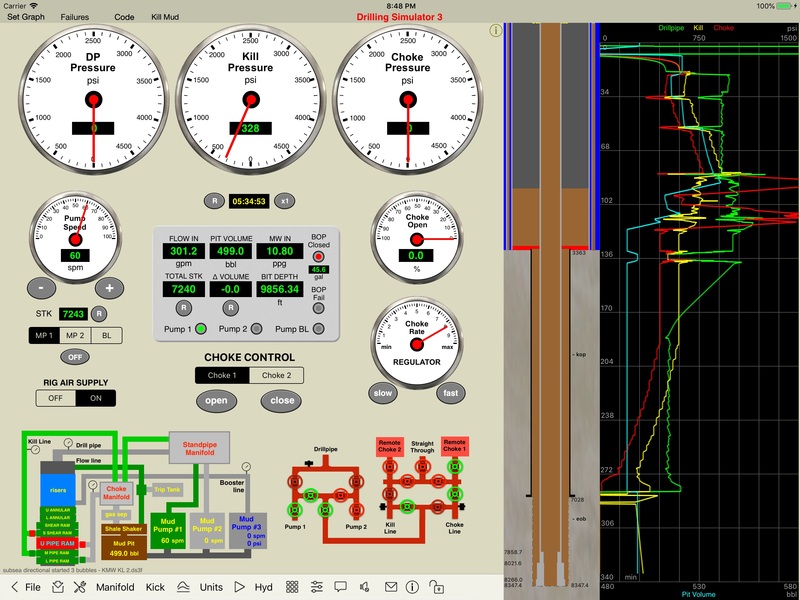 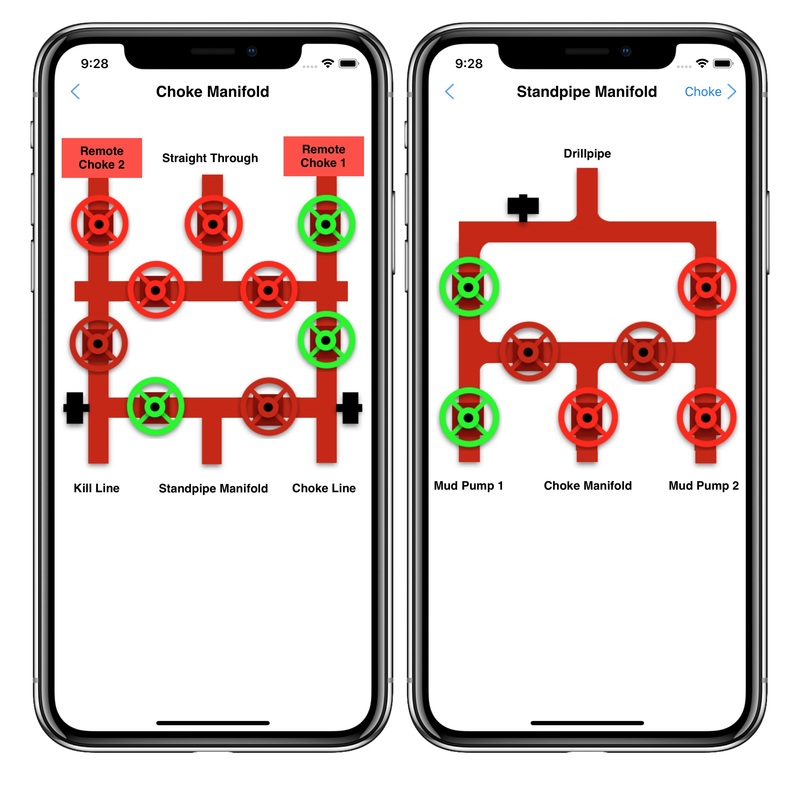 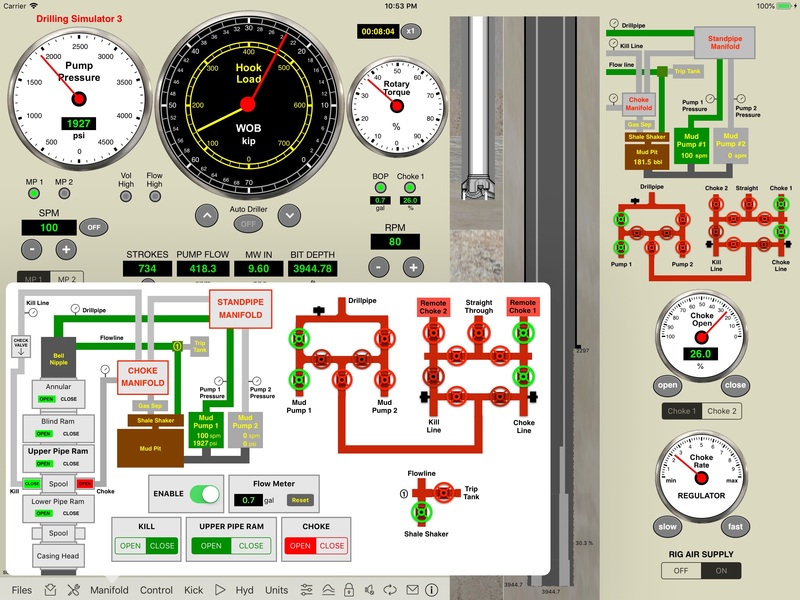 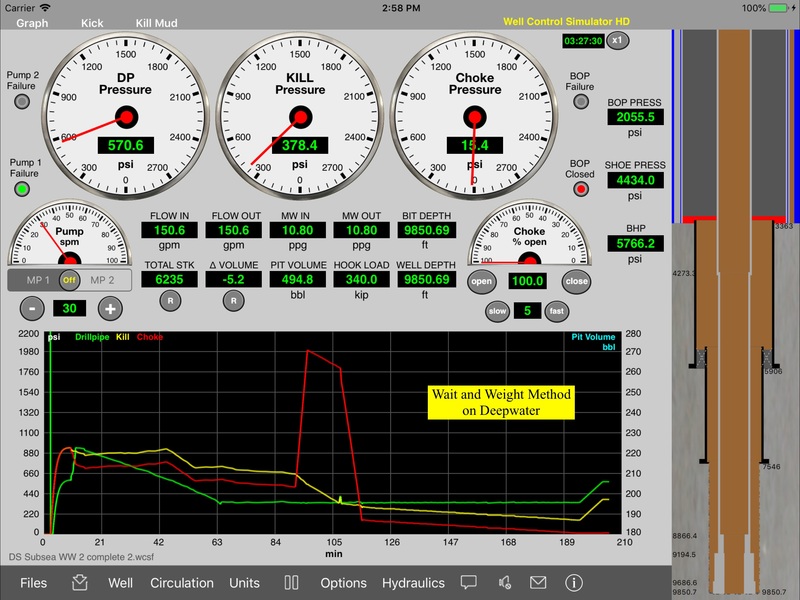 Well Control Simulator provides a graphical very useful tool for training of roughnecks, derrickmen, drillers and students in the well control procedures. 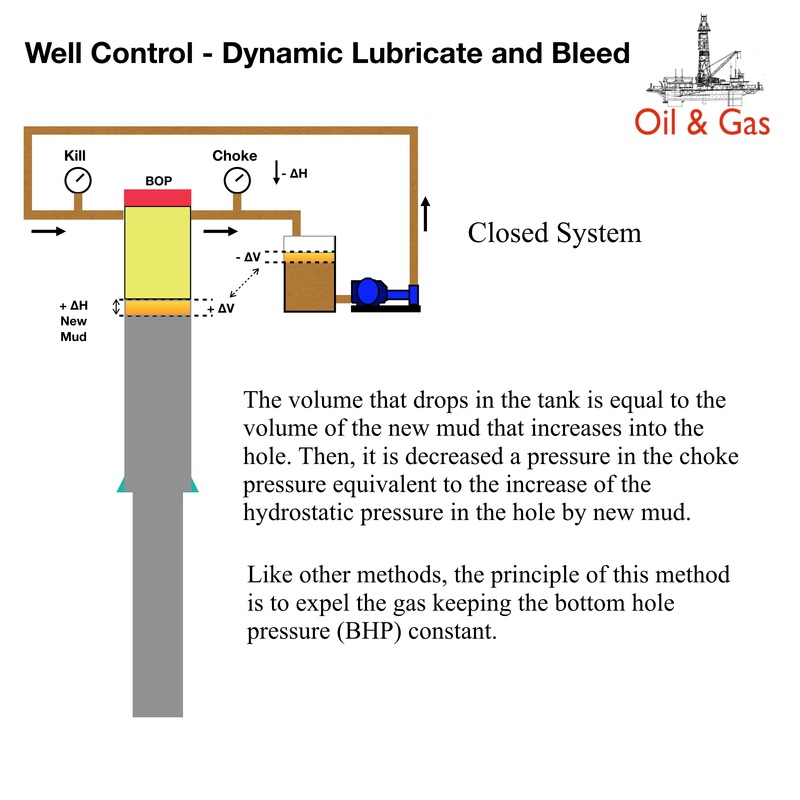 The model assumes that the kick starts as a single bubble at the bottom of hole and migrates upward as a single bubble from the bottom to the surface. 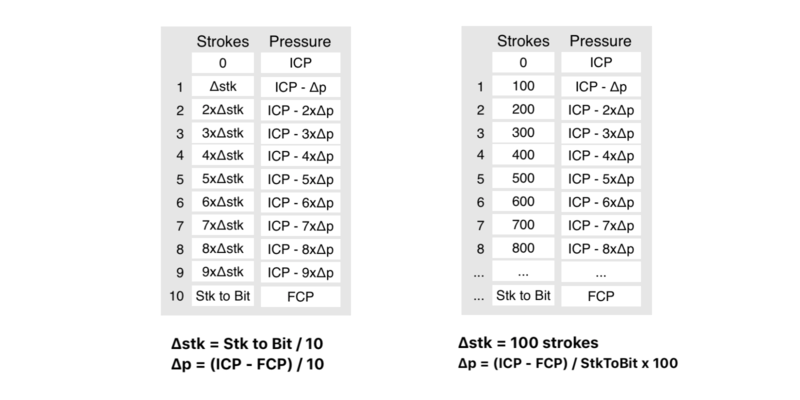 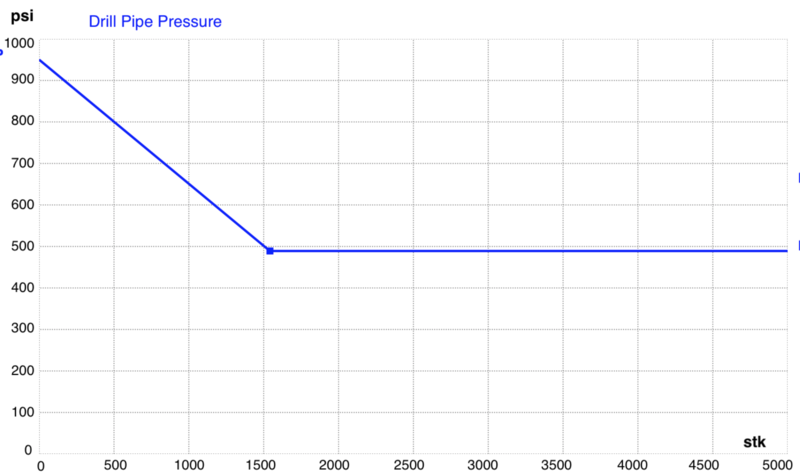 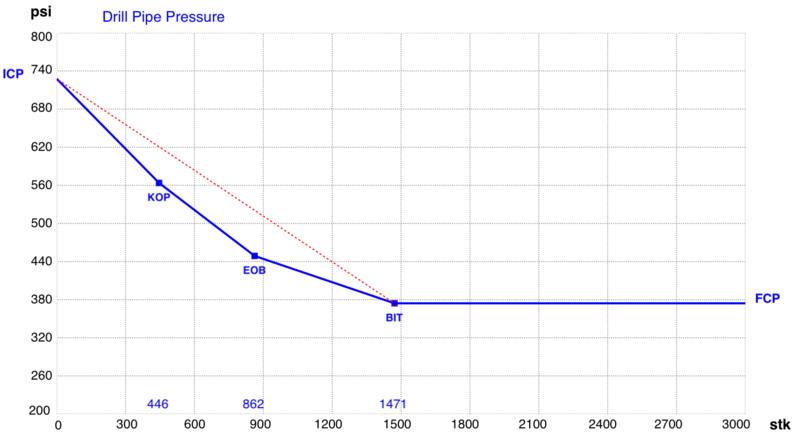 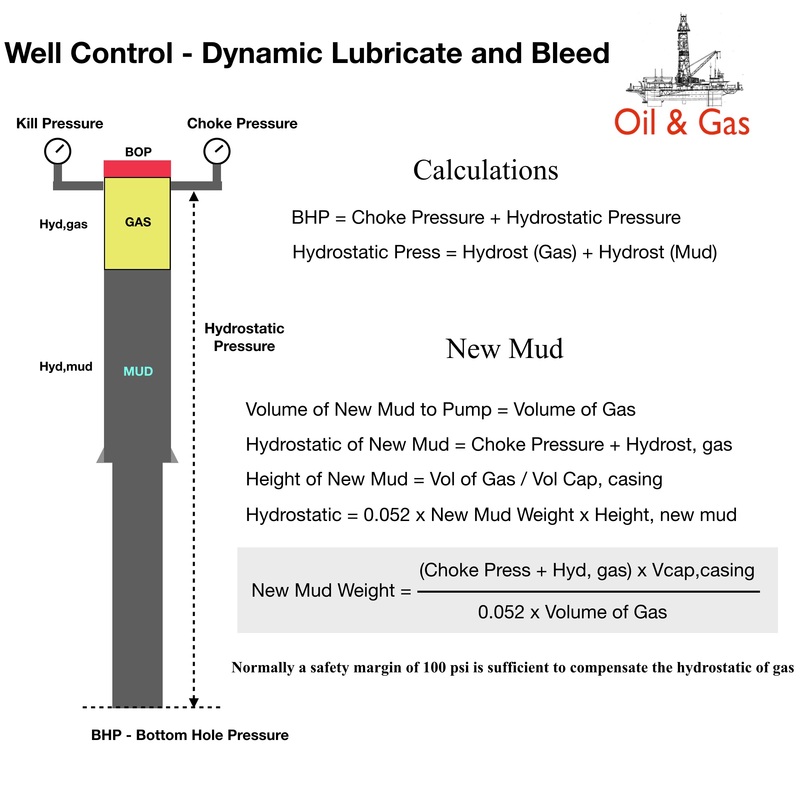 In underbalanced condition (BHP<Form Pressure) during control, the single bubble volume is incremented with the inflow volume from formation to the well. 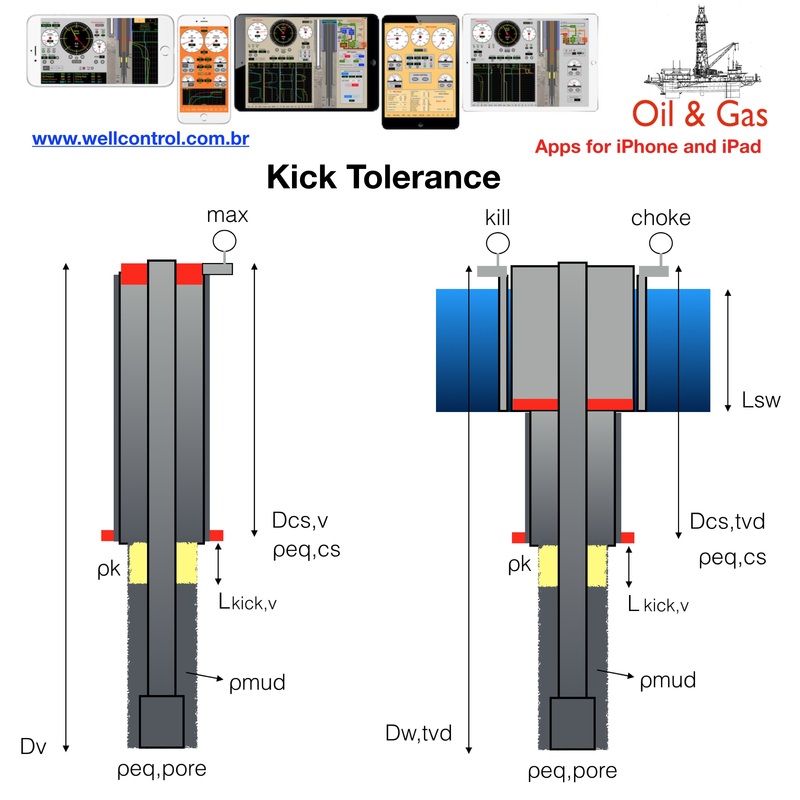 – In this simulator, the student inputs the parameters of the kick and applies a method to control. 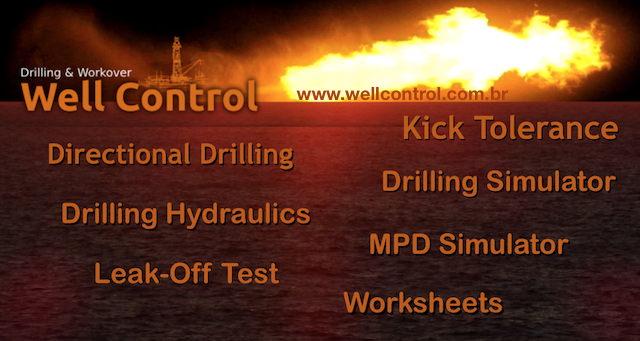 – No drilling. 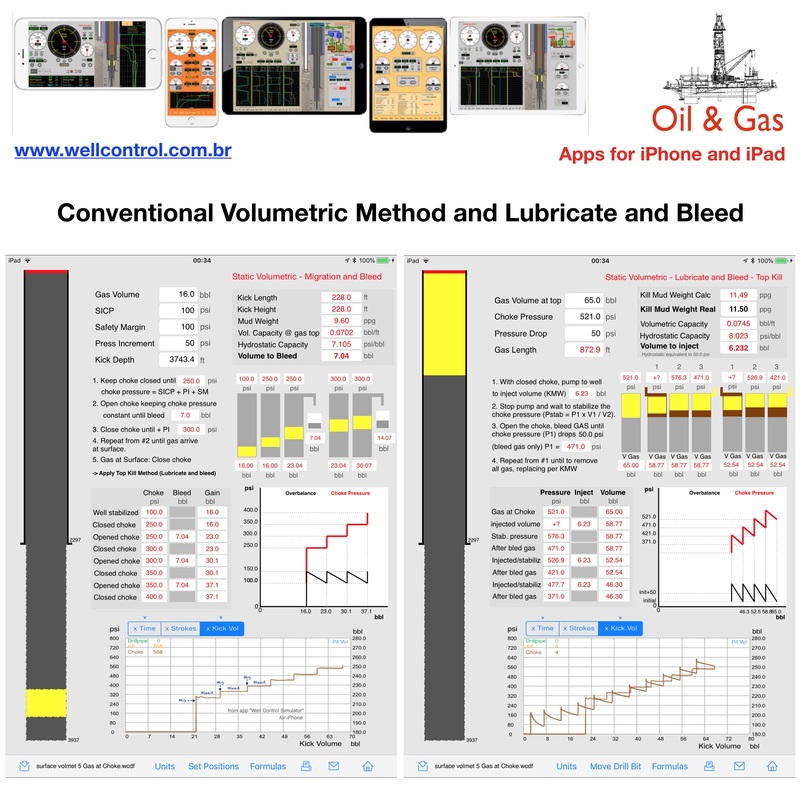 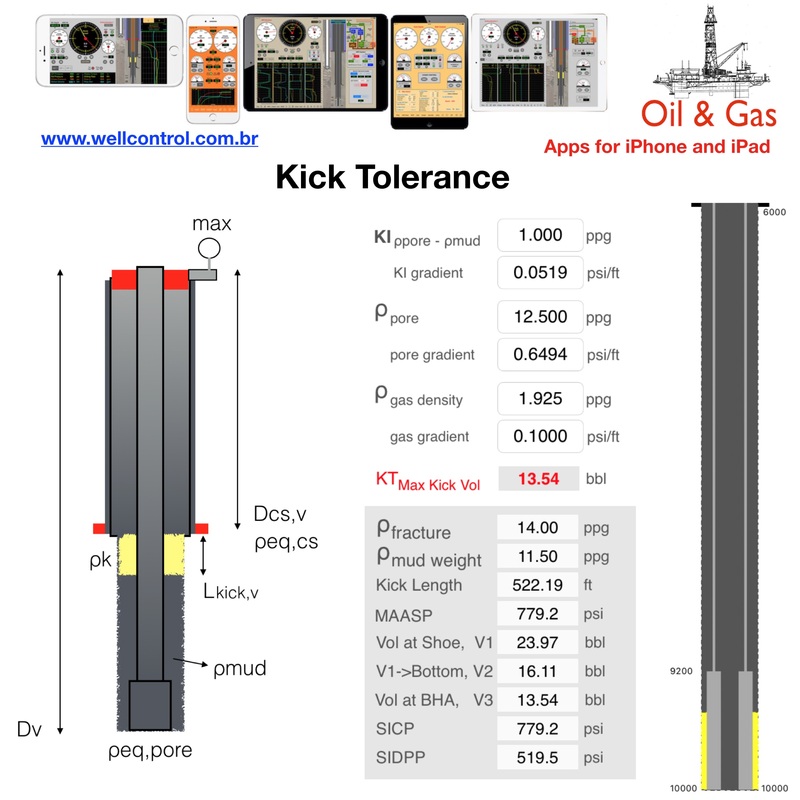 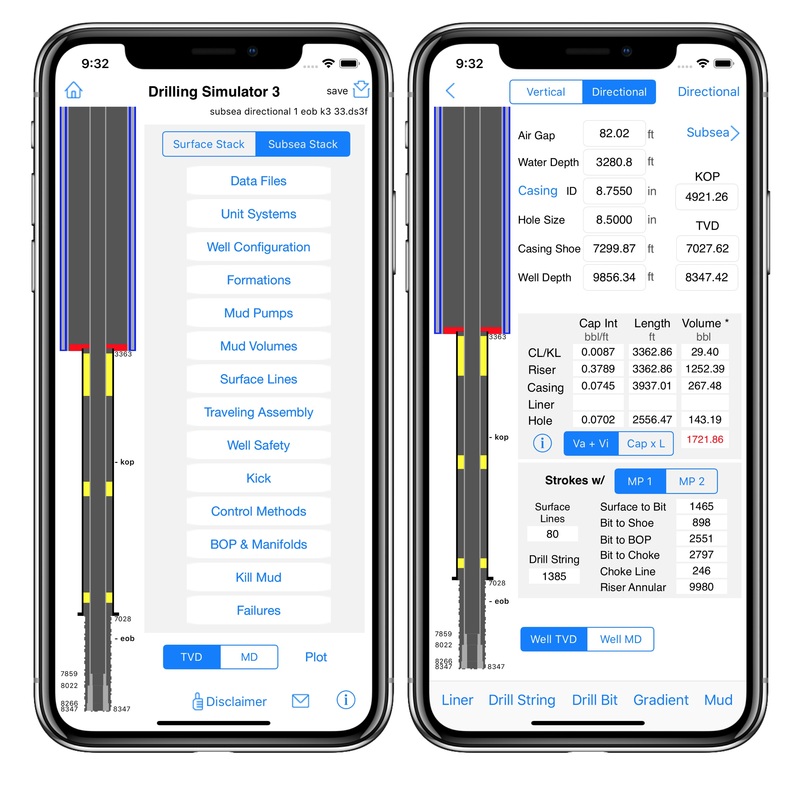 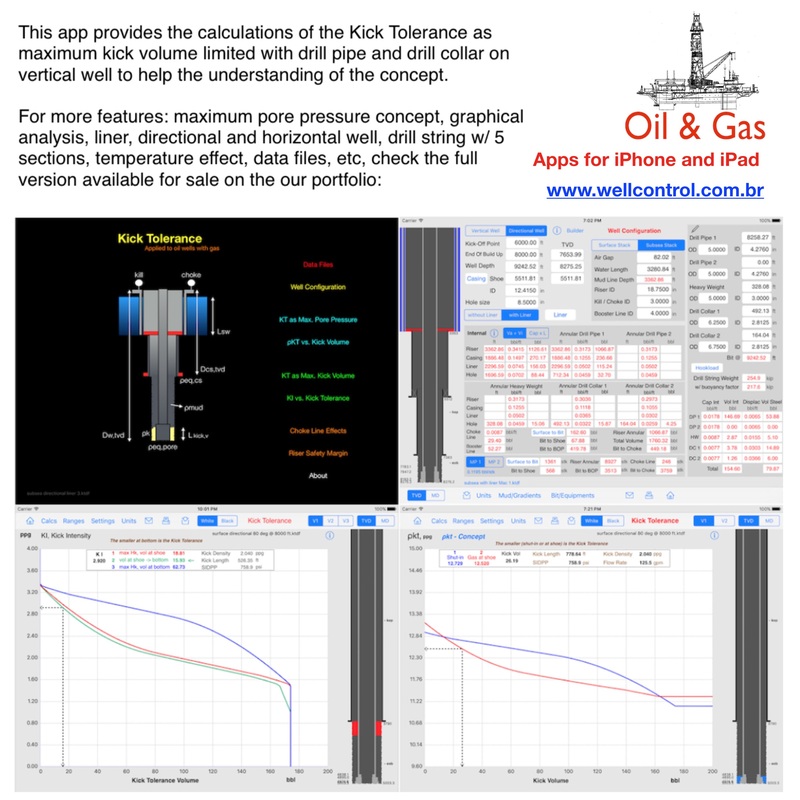 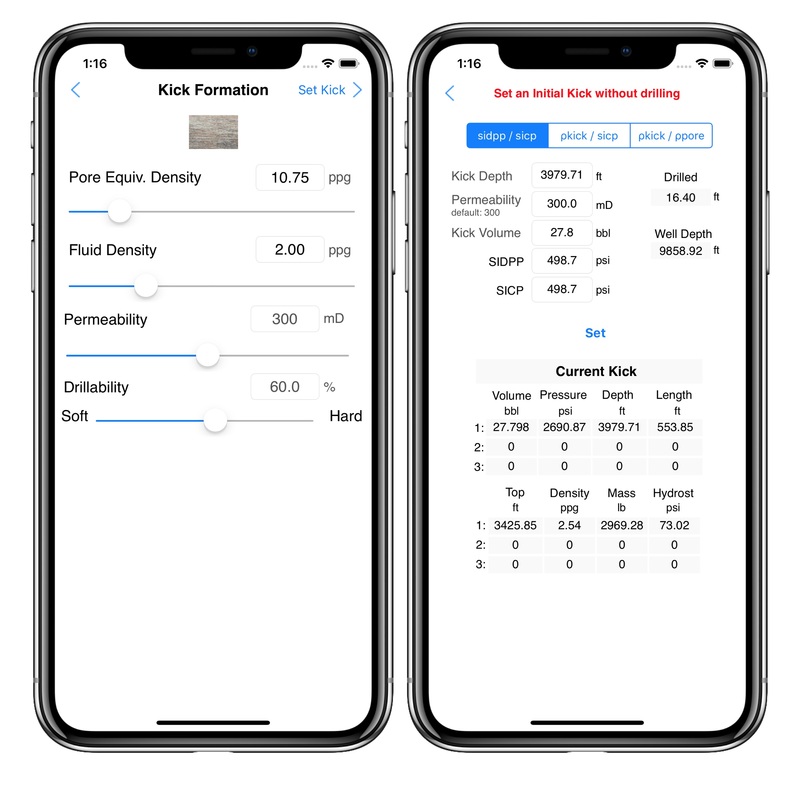 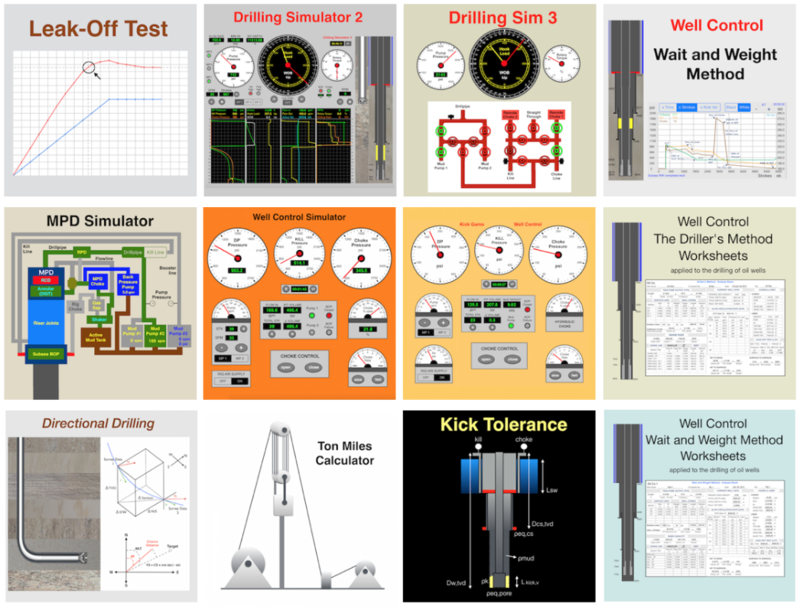 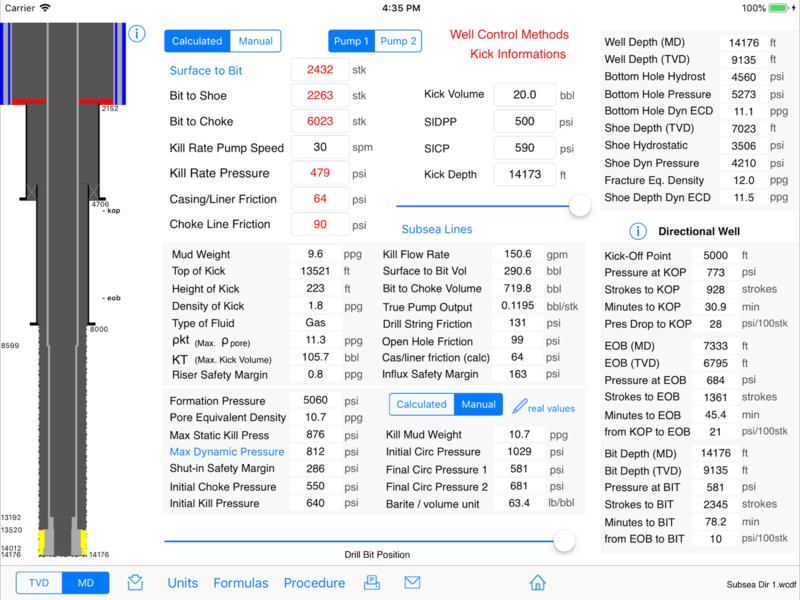 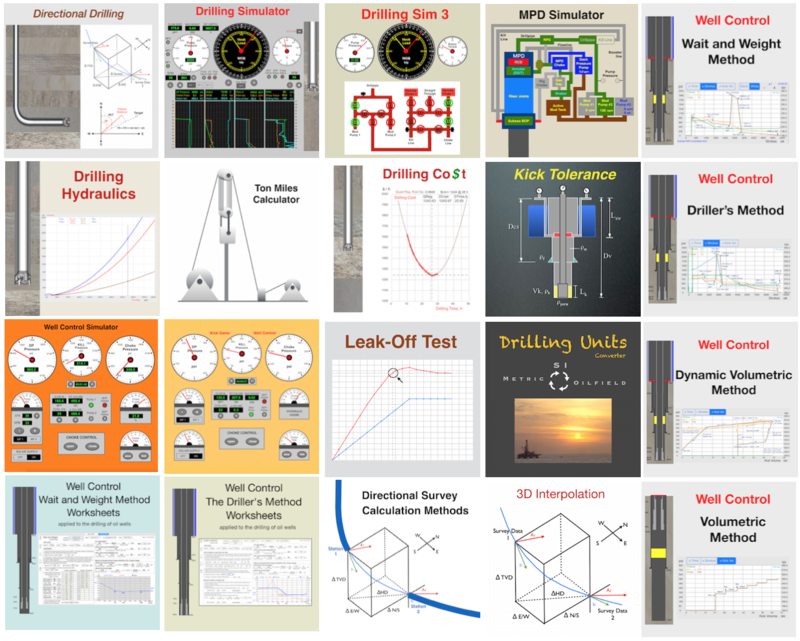 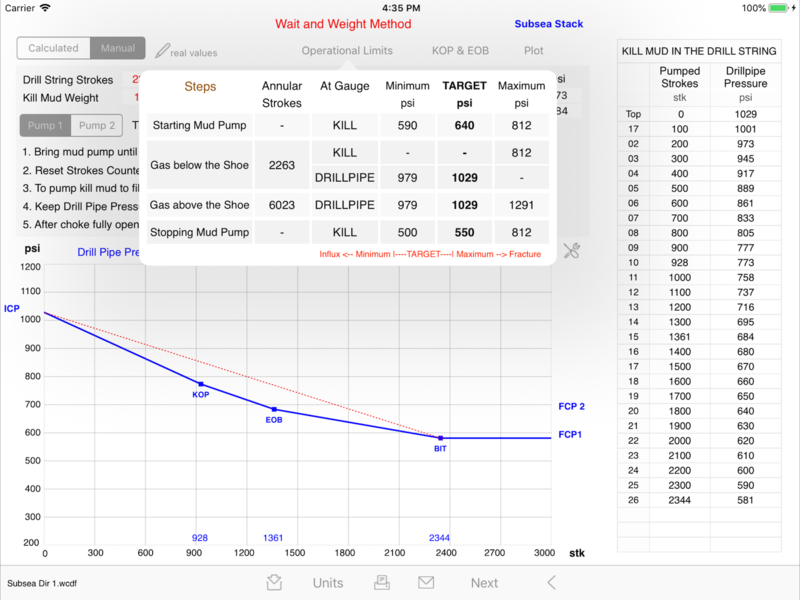 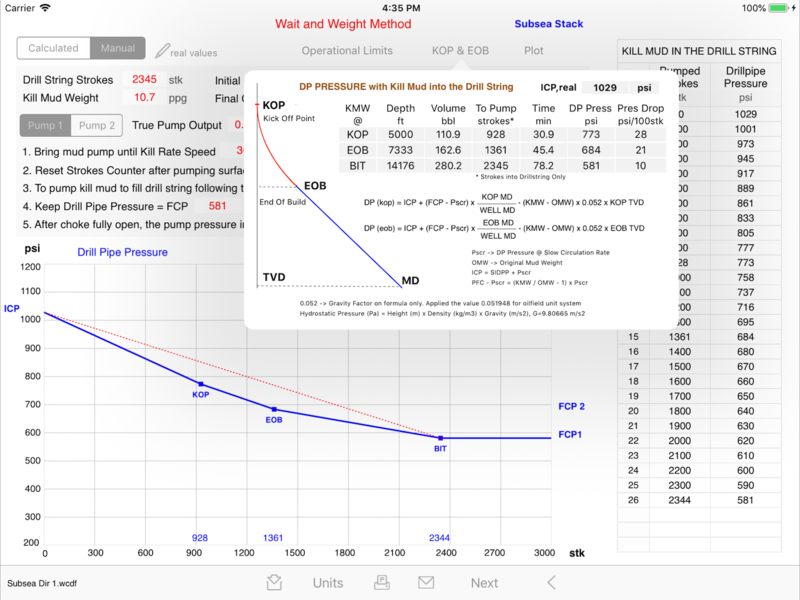 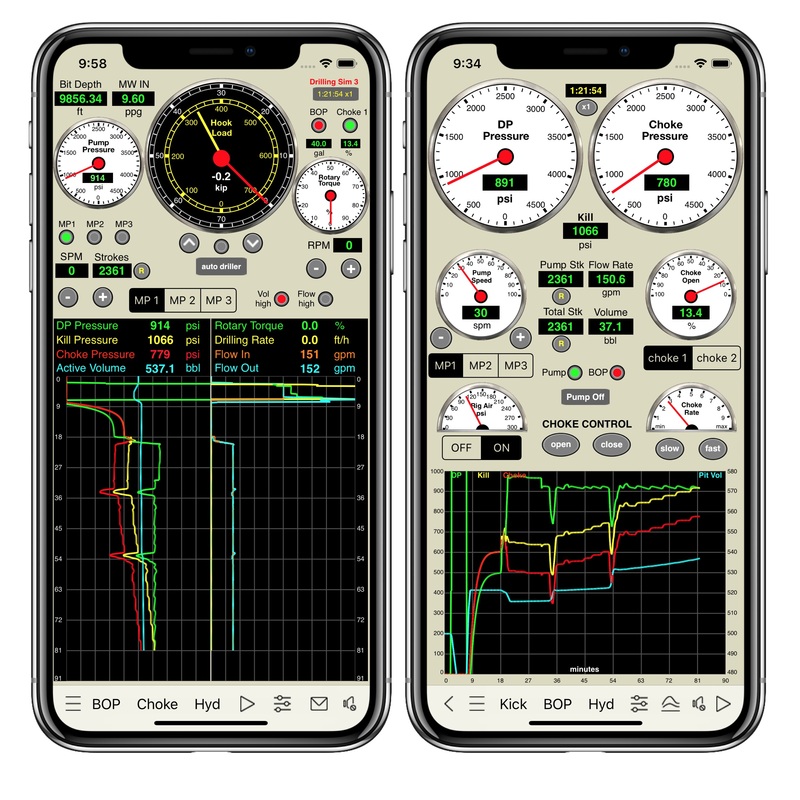 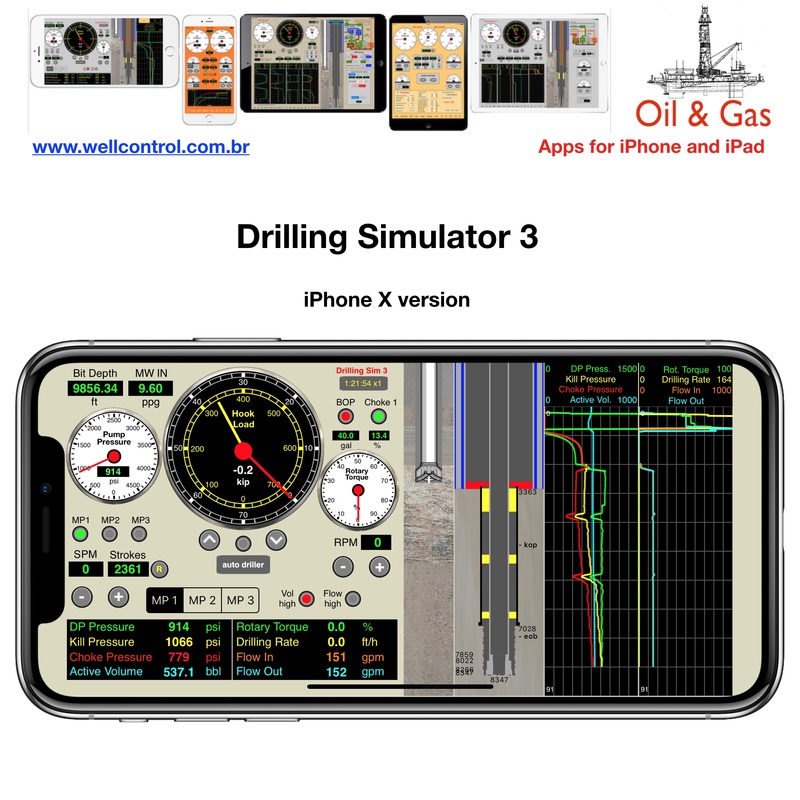 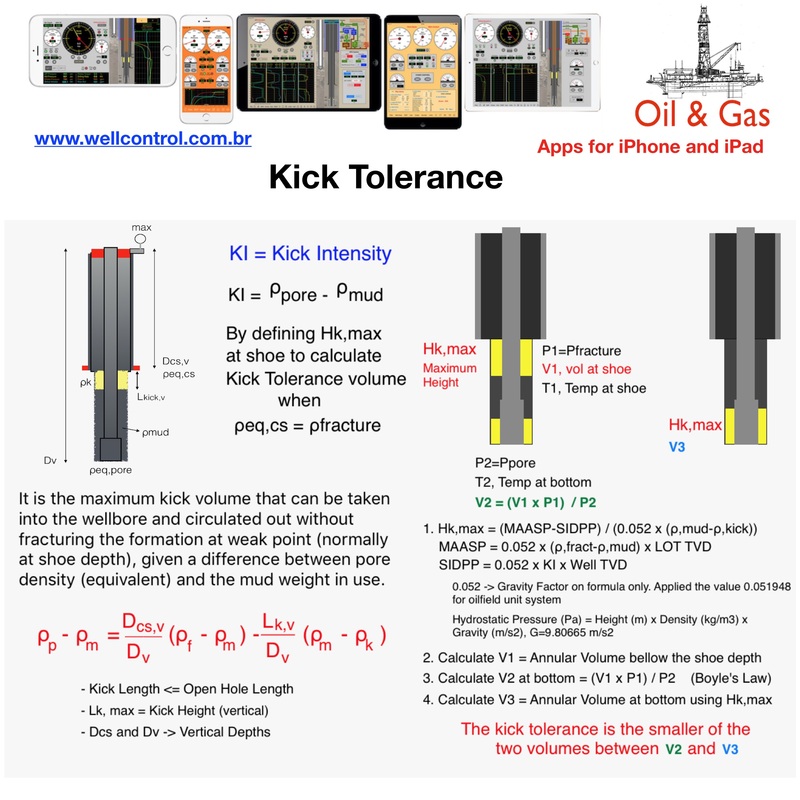 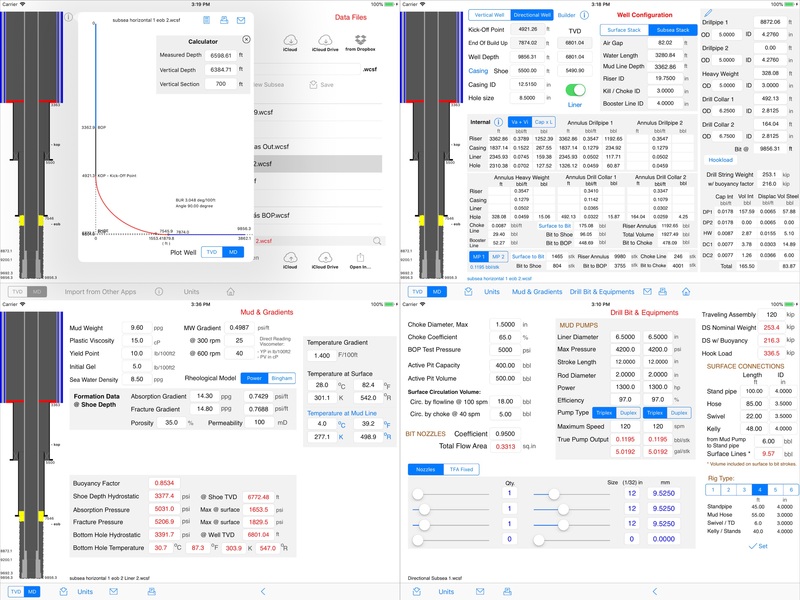 For drilling simulation and kick detection, check the Drilling Simulators apps available in our portfolio”. 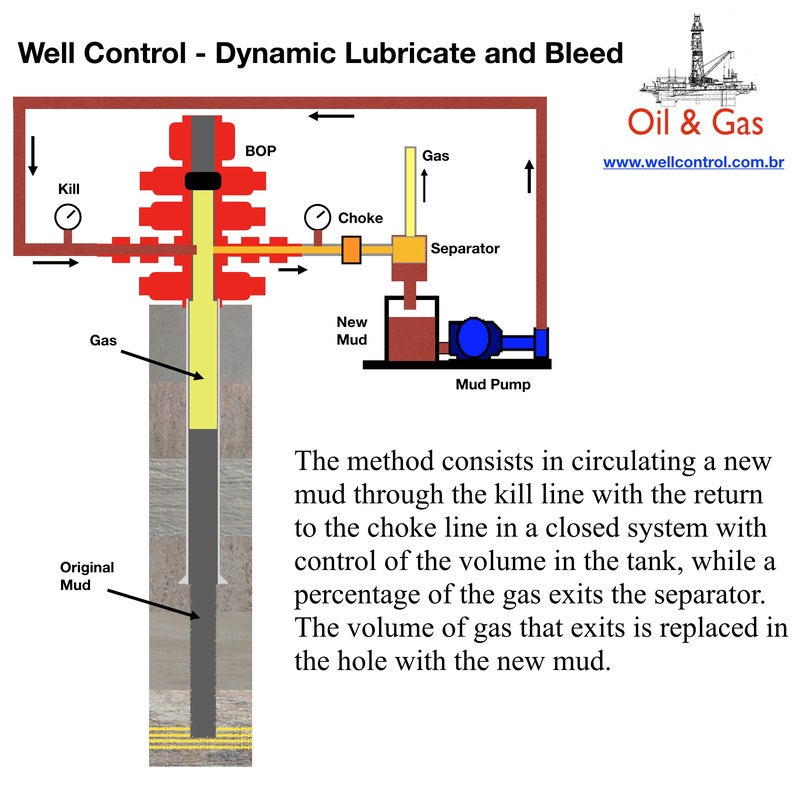 – Visit the our website for User’s Guide.